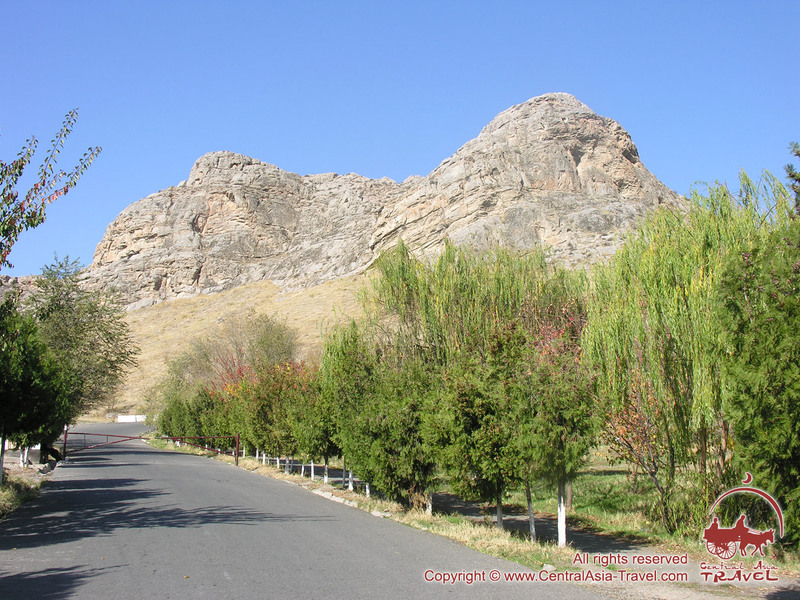 Today this ancient city is the administrative center of the Osh region. This is a major economic and cultural center, which has retained its unique charm and mystery of the ancient East. Numerous legends associate the founding of the city with the names of Alexander the Great and the prophet Suleiman (Solomon). Scientists are still arguing about the city name etymology and cannot find an answer that would suit them all. It might ne that hard to guess, because its roots are so deep. Religious figures associate the origin of Osh with the legends about biblical Sulayman (king Solomon). One of them says that once the king led his army, and drove a pair of oxen with a plow in front of it. When the oxen reached the beautiful mountain, Solomon said “Hosh!” (i.e. enough ). That is how the city got its name. However, none of these legends explains either the origin of the city or its name etymology, but testifies to the antiquity of the agricultural activities of these places inhabitants. The written history of the city dates back over a thousand years, and archaeological finds justify the city was founded approximately 3,000 years ago. The origin of Osh is associated with Bronze Age farmers’ settlement, discovered on the southern slope of Suleiman Mountain. The peak considered sacred from time immemorial, and there is evidence of ancient Islamic cults here. The further development of the city is bounded with its geographical position - in the fertile valley at the foot of the Pamir and Pamir-Alai. Osh stood on the intersection of caravan routes from India and China to Europe since antiquity and the Middle Ages. Here ran one of the branches of the Great Silk Road - the most important trading artery of antiquity, connecting East with West. 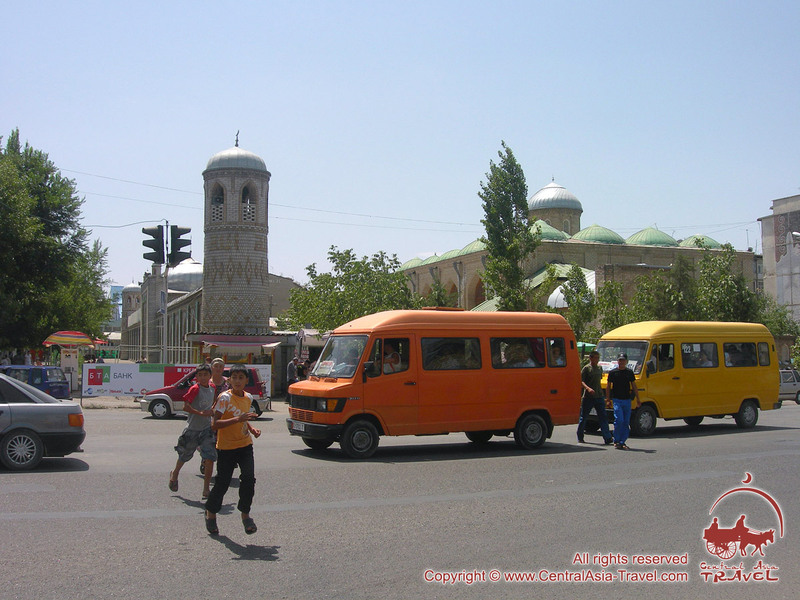 The trading city of Osh was very famous for its bazaars and caravanserais. The main bazaar on the left bank of the Ak-Bura river, was a classic example of the eastern covered market - tim. For more than two thousand years, the main bazaar in Osh has been living its noisy and vibrant life at the same place, changing buildings and expanding borders. 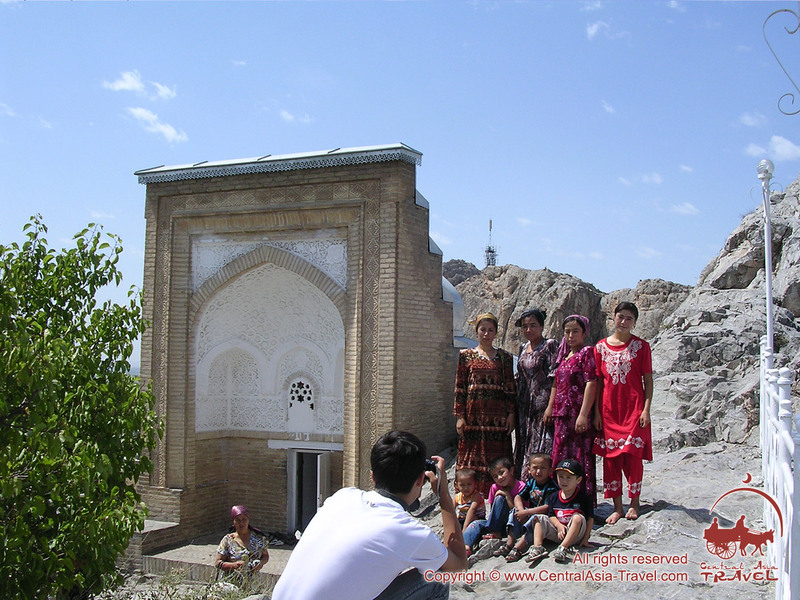 In antiquity, Osh was one of the religious Muslim centers of Central Asia. 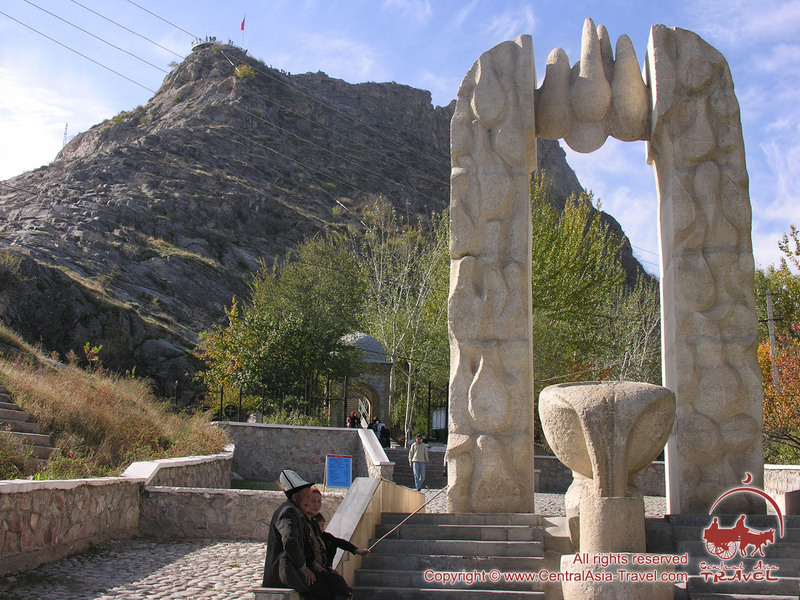 This is due to the Suleiman mountain (Suleiman-Too) located in the city. Legends and folk tales endow it with extraordinary strength and ability to heal any malady. In the 18th century, Osh became part of the Kokand Khanate, and in the 19th Russian Empire annexed it. 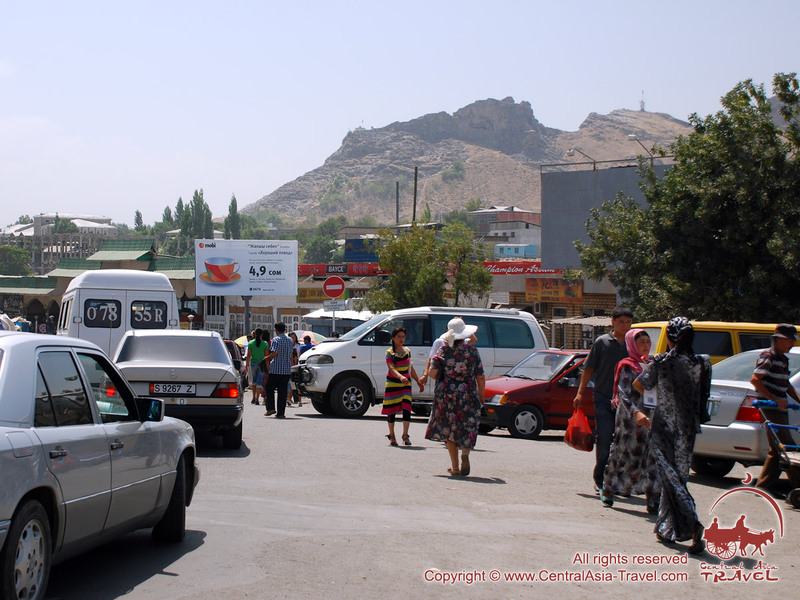 Since 1876, Osh was a county chief town, and it has become the center of Osh district in Kyrgyzstan in 1939. Modern Osh is an industrial center of Kyrgyzstan. It hosts one of the largest cotton textiles in Central Asia, a silk factory, enterprises of construction, metalworking, woodworking and mechanical engineering industries, consumer goods, food manufacturing developments, and an airport. Hills and low rocky spurs of the Alai Range surround Osh on three sides. Being practically under the “roof of the world”, you can feel the breath of the mighty and majestic Pamir-Alay mountains everywhere. 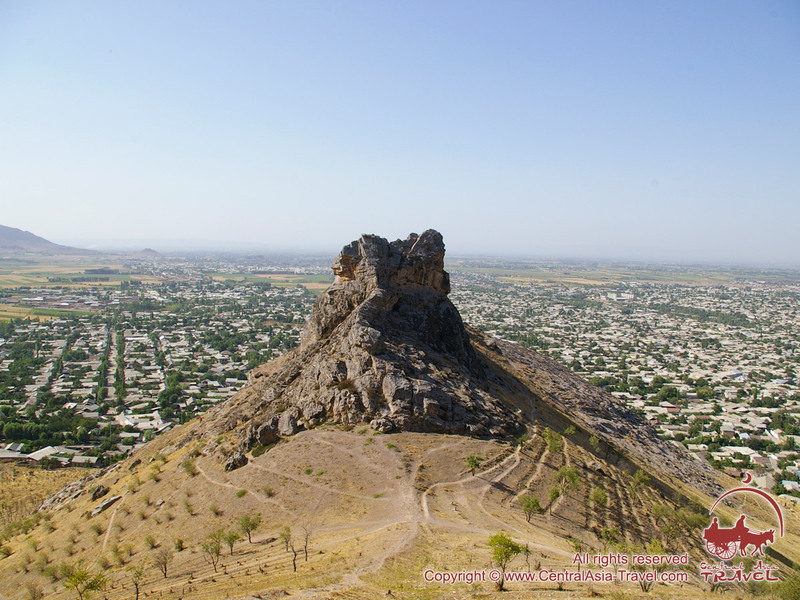 The main evidence of their presence is, of course, the five-headed Suleiman Mountain, towering in the very center of the city. This is one of Alai Range's spurs - a rock over 100 meters high. 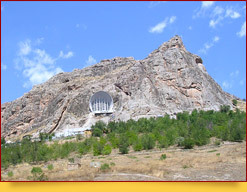 The mountain Suleiman-Too became Kyrgyzstan’s first World Heritage Site in June 2009. 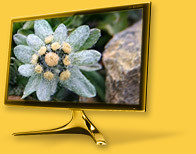 Suleiman-Too (“the mountain of Suleiman”) or Takhti-Suleiman (“the throne of Suleiman,” i.e. biblical king Solomon) is located right in the center of the city. In the 10th century already, pilgrims from all over Asia stretched to this rocky hill, mediocre from first glance. 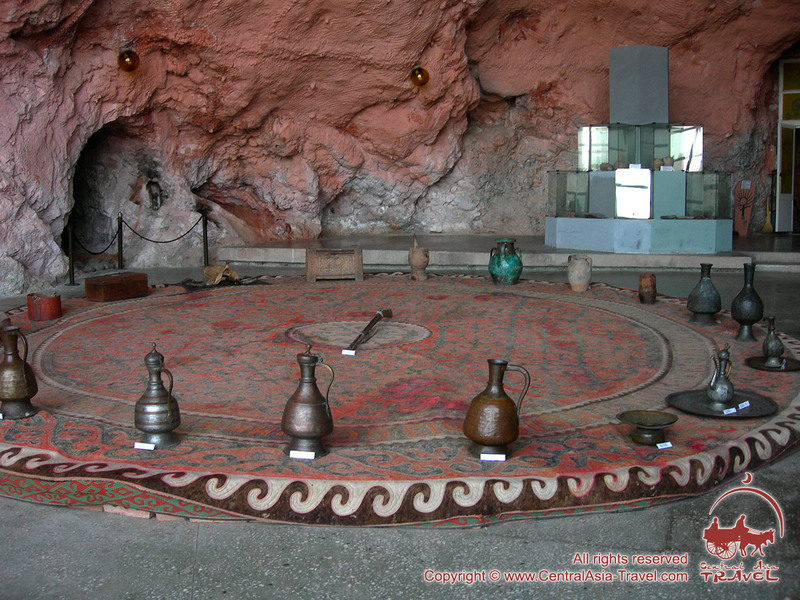 For from time immemorial it is believed it was here where the prophet Suleiman addressed God, and his forehead and knees’ imprints were left on the stones. Over this place holy for every Muslim, Muhammad Zahiriddin Babur (1483 - 1530), Timur's great-grandson and founder of the Great Mughal dynasty, built a small hudjra (cell) with a mihrab. Nowadays a white-stone mosque stands there and “Babur’s house” recreated according to archival sources. Legends say it is on this mountain that a woman can ask God to send her a child, and the legendary “ordeal path” leads to the top, allegedly, no unfaithful wife can ever walk. 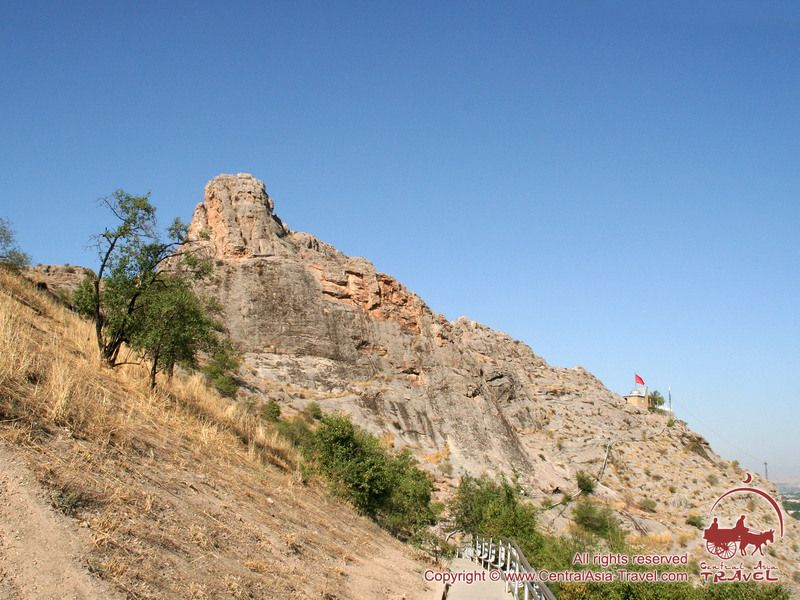 Tahti-Suleiman mountain had a cult significance, even in the early Middle Ages. 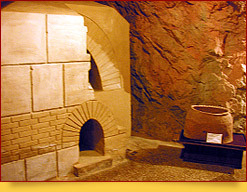 Pyrolaters worshiped it as assumingly Zoroastrianism prophet and the creator of the holy book “Avesta” Zarathushtra (Zoroaster) lived and created his teachings in a cave on the mountain Suleiman-Too. There existed one of the earliest temples of the Zoroastrian cult of the water-fire (temple of the River Ohsho, Yakhsh-Osh and fire). Perhaps the name of the city comes from these words. Hundreds of petroglyphs are carved on the rocky outcrops of the mountain, stone slabs, on the walls of caves and grottoes. 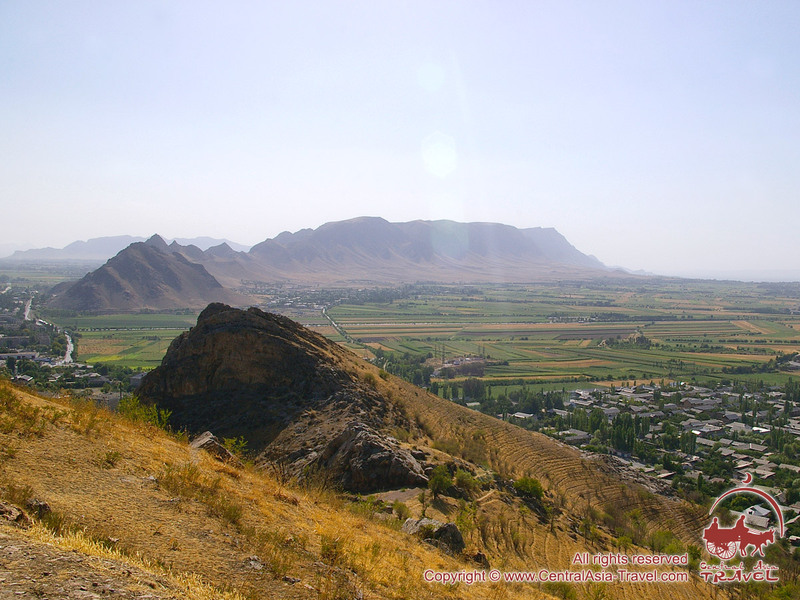 Those who are particularly curious can climb the mountain itself to see an excellent panorama of the city of Osh. The magnificent scenery can be admired for a long time: below - boiling city life, in the distance - the Great Mountains breathing with calm and confidence. 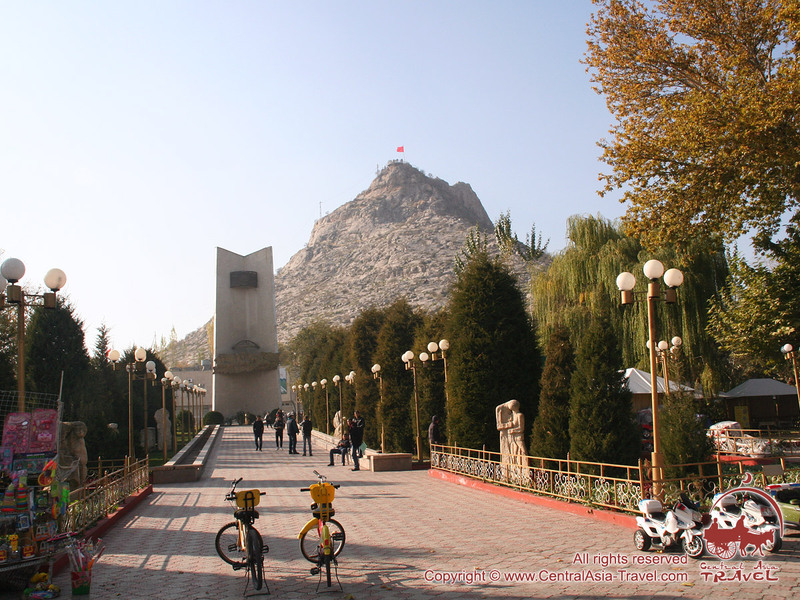 At the foot of the mountain are the most eminent mosques of the city (the mausoleum of Asaf-ibn-Burkhiya (11th-17th century), the mosque Rawat-Abdullakhan (17th-18th century), the mosque Mohammed Yusuf Bayhoji-Ogly (1909). The mausoleum of Asaph Ibn Bukhriya is a monument of architecture of the XVII-XIX centuries, located at the foot of the eastern slope of Suleiman-Too. 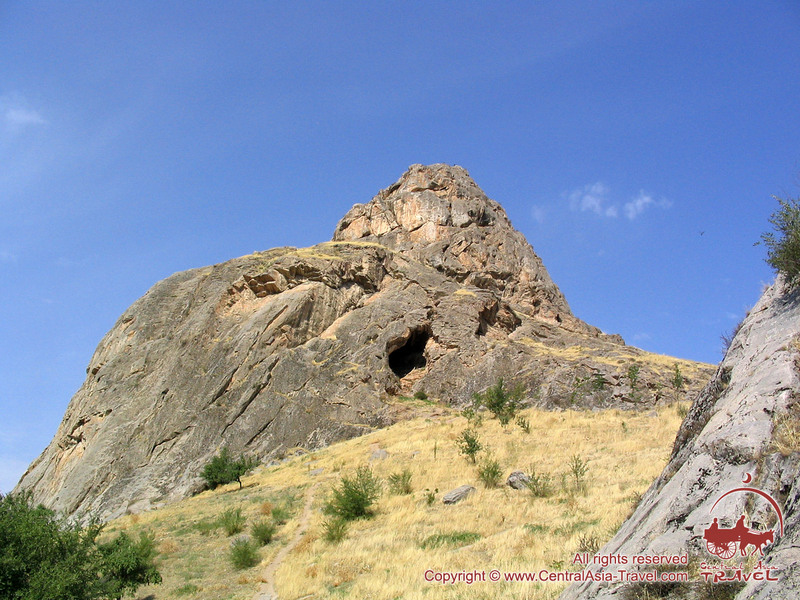 According to folklore, the mausoleum is named after the mythical ally of King Suleiman (Solomon) Asaf ibn Bukhriya, who bequeathed to bury him at the foot of this mountain, which was done. An architectural monument was erected over his grave, which has been repeatedly destroyed and erected again by new generations. 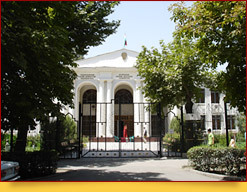 All these architectural monuments are part of the Osh United Historical and Cultural Museum-Reserve. The most significant of the city’s places of worship: the Alymbek Paravanchi Datka Madrassah, the Muhamedba Tur Turk and Muratbayev Madrasah are magnificent examples of the Fergana architectural and construction school. The city has a lot of parks and historical and cultural monuments: the Sadykbay Mosque, the Shahid-Tepa Mosque, a medieval bath; memorial complex "Evening Fire"; monuments to V.I. 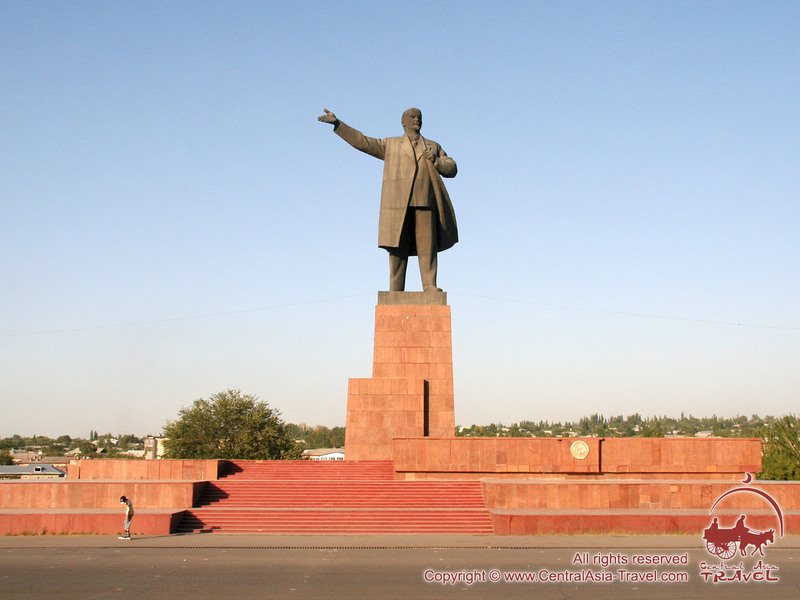 Lenin, Toktogul Satylganov, Risilay Abdykadyrov, Sultan Ibraimov Orozbekov, Kurmanzhan-Datka, Alisher Navoi; Osh settlement: cave "Echo of love", grotto "Swallow's Nest"; most beautiful places: Kyl-Kuprik, Beshik-Tash, Chakki-Tamar, Kol-Tash, Sylyk-Tash; as well as an old cemetery, petroglyphs. Along with the monuments of the Muslim cult, in the central square of the city there is the only city’s monument of Russian Orthodox architecture dating the beginning of the 20th century - the Michael Archangel Church. Unfortunately, this monument had to endure all the hardships of the Soviet government’s "cultural revolution", but it was returned to the Orthodox religious community in 1991. Unfortunately, neither the ancient Osh’s three gated fortress wall, nor the citadel surrounded by shahristan, nor the cathedral mosque near the bazaar has survived to present days. However, the city bazaar is still there. It is a real chaotic oriental market with narrow streets, numerous barbecues, and mountains of colorful spices, fruits and local rickshaws. In the narrow market streets there is always a lively trade in amulets, talismans, remedies and spices. Once here, you can be sure you will find almost everything you were looking for. 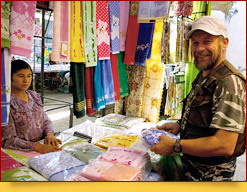 Another very pleasant characteristic of the oriental bazaars is to bargain when buying goods. Osj can boast a wonderful geographical location. From here you can get to one of the oldest Uigur cities - the mysterious Kashgar, climb the Pamir or Tien Shan mountains. 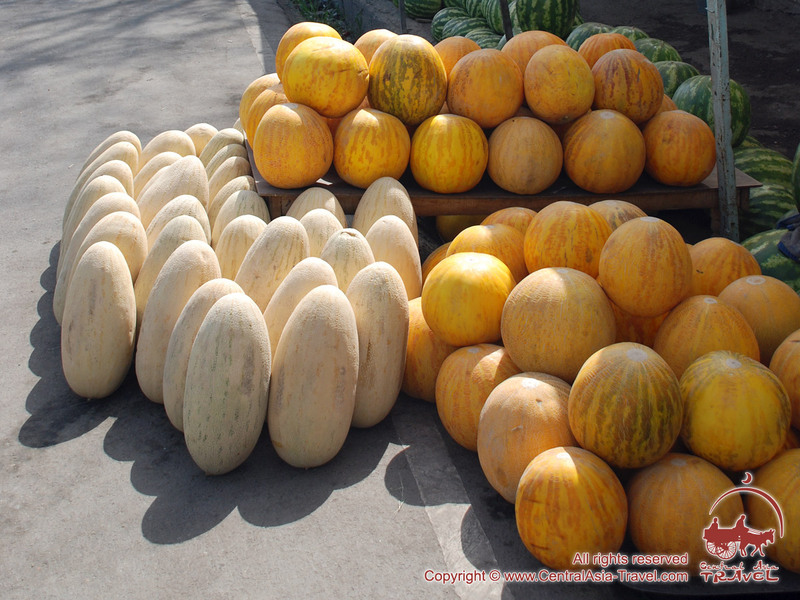 You can also easily get to the Uzbek and Tajik parts of the Fergana Valley. 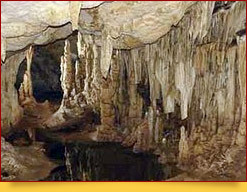 Osh region is famous for the largest caves in Kyrgyzstan: Chil-Ustun, Chil-Mayram, Keklik-Too. 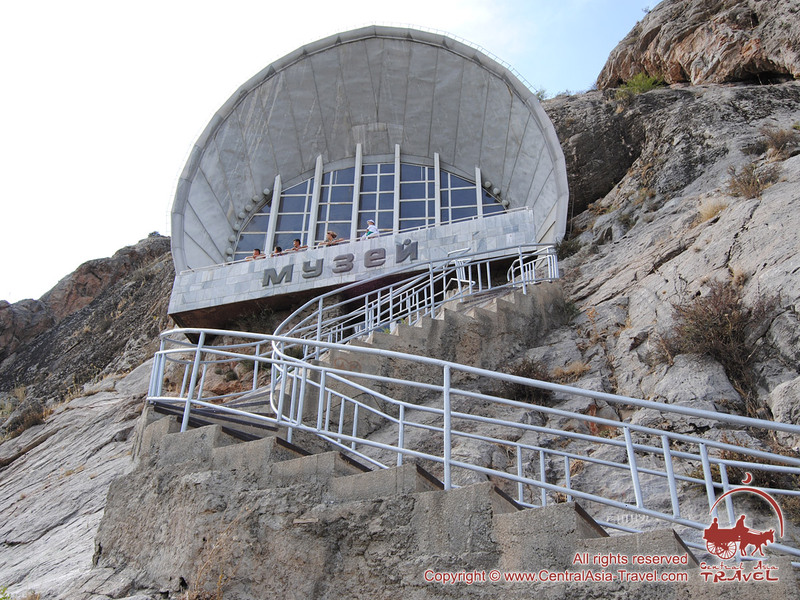 The entrance to the Chil-Ustun stalactite cave is located almost on a cliff at an altitude of 250 m. The name of the cave means “Forty Columns”. 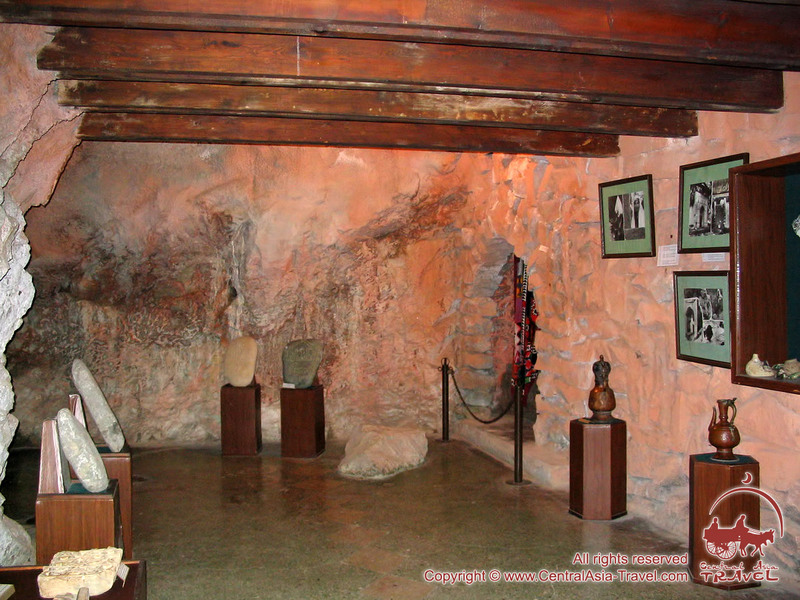 This cave is a cult place for pilgrims. The legend says that if a traveler passes along the rocky steeper and returns to the foot of the mountain unharmed, then all the sins will be forgiven. A powdered stone, brought from Chil-Ustun, can cure any disease. The Abshir-say tract is famous for its interesting karst waterfall-fountainhead. 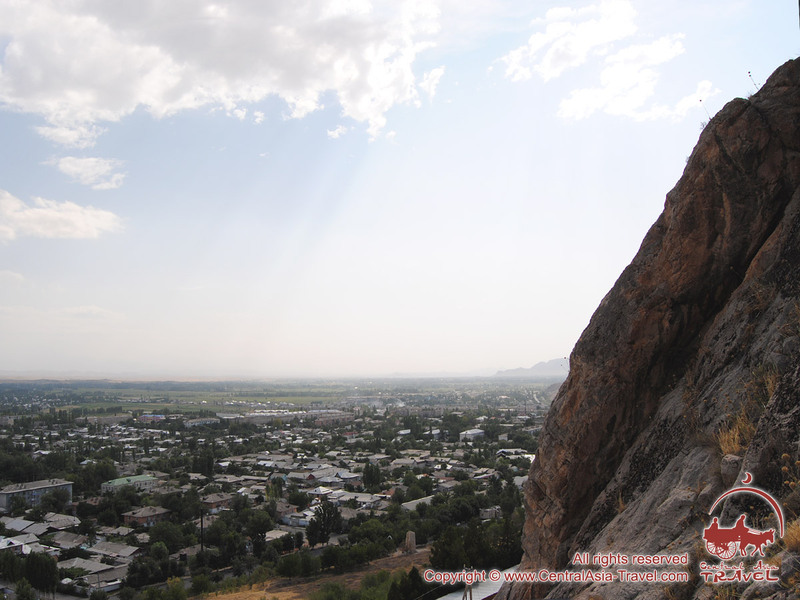 The ancient city of Osh is a wonderful place to start hiking and mountain climbing, and foreigners know it, primarily, as a starting point on the way to the base camp at one of two country’s seventhousanders - Lenin Peak (7134 m), located in Chon-Alay Osh region. The ascend to Lenin Peak belongs to the category of high-altitude mountain ascends. In addition to the appropriate climbing equipment, you must have high-altitude experience, excellent health, willpower and endurance to get there. Our Base Camp, located closest to the beginning of the trail to the Travelers Pass, is located on the Glade of Edelweiss. Climbers and tourists from different countries of the world gather here. For those have an exciting and adventurous journey ahead, Osh becomes a last island of civilization.